Sgt. 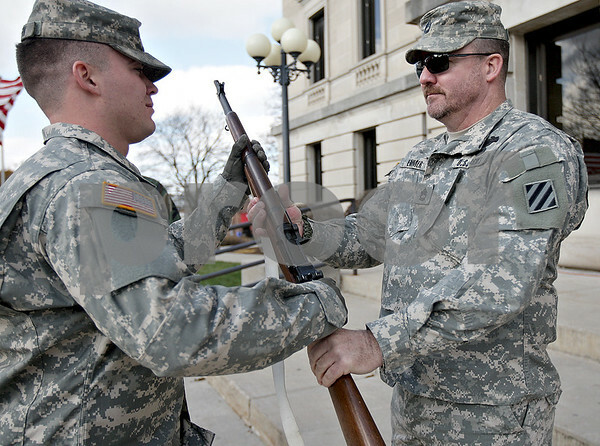 Sean Griffin (left) receives a rifle from Sgt. 1st Class Mike Emmer as Emmer's shift ends and Griffin's shift begins in front of the DeKalb County Court House on Saturday, November 9, 2013. Veterans took turns keeping vigil from 6 p.m. Friday to 6 p.m. Saturday.